Why is Active Protection Better than Passive? Why is RFID a Vulnerable Technology? There’s a lot of stories in the media at the moment in light of revelations that certain government agencies can hack into your smartphone. Whether it’s for spying on you for audio bits, capturing visual bits by turning your camera on without you ever knowing or just tracking your where abouts, it seems Smartphone hacking is hitting the mainstream. Criminals have been looking for ways to exploit smartphones since they were invented way back when Steve Jobs released the first generation iPhone® on June 29th 2007. Fast forward almost ten years and how our lives have changed because of that “light bulb” moment from Apple. Every year at the hackers convention Def Con held in Las Vegas these hackers are show casing how easy these technologies we use daily are open and vulnerable to hacking. The interesting thing is that most people who have ever used “Find My” feature for a lost phone, laptop etc is tapping into a form of surveillance. Whether it’s a partner tracking a spouse’s movements or downloading malicious code hidden in an app your kids just to downloaded to somebody walking past you in the street injecting malicious code via the backdoor through the NFC (Near Field Communication) or tap and go / bump feature located on most smartphones these days. The fact is with so much information on our smartphones its just way to tempting to not be exploited by criminals and let’s just say certain “agencies”. As smartphone owners, we need to start stepping up security measures and that starts with simple things like two-stage pin security code, knowing what you’re downloading is from a reliable source, checking permissions of the apps your downloading etc. The harder thing to monitor is walk-by NFC injections, this is when somebody injects a malicious code into your phone via the NFC feature that tells your phone to do something (like next time your in a wifi zone, your phone is fooled to back up, then boots up a browser in the background to a malicious web address that copies all your files to the server) Scary stuff and everything & I mean everything is worth money on the dark web or deep web. 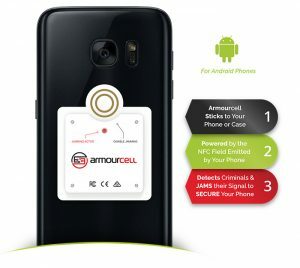 At Armourcard™ we knew this vulnerability was coming and that’s why we developed our latest product called Armourcell™ which utilises our patented micro jamming technology found in our original Armourcard product and applies it to your Android smartphone. Armourcell™ effectively shuts the NFC backdoor into your phone and also stops your phone acting as a sniffer via the NFC feature for credit card data out in the open. RFID Protective cards – understand the difference before you buy. Over the past few months it has come to our attention that consumers are judging the effectiveness of the RFID protective cards they are purchasing against retail point of sale terminals. Based on this method of testing these RFID Protective cards give the appearance of being very effective at blocking a transaction being processed and have received a number of very positive reviews. The truth is that if you place two PayPass cards together and present them to a retail (tap & go) terminal the transaction will NOT go through. This is so the consumer can make the decision of which card they wish to present to the terminal. Don’t be fooled though, any standard reader (like the one in the image to the right) that can be purchased online will not give you this option and will take the information off the first card that responds to its requests. These readers have anti-collision software so it does not matter how many cards are being interrogated it will always get at least one. 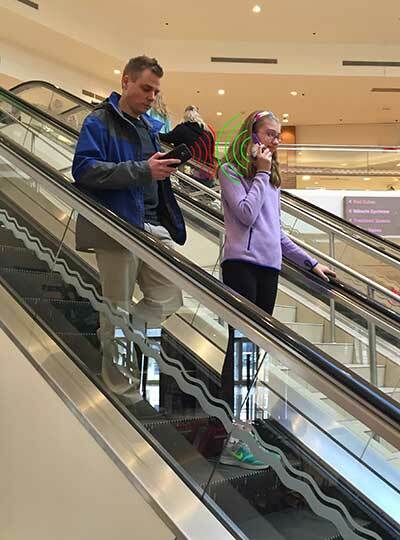 The criminals who perpetrate this electronic pickpocket crime would rarely use a retail style (tap & go) terminal to skim, they are more likely to use a standard off the shelf reader and ‘amp up’ the antenna and signal strength. The way in which some of these cards are marketed and the terms that they use to boost the hype imply that the cards are loaded with top secret and patented technology some even drop names such as “NASA” to increase their worth. The truth is actually quite different. Often a standard programable RFID card worth about $0.75 is programmed with essentially garbage in an attempt to confuse the terminal which is trying to interrogate it. This has been shown to be inconsistent in its protective ability and thus cannot reliably support the claims that are being made. As there is no regulatory body governing the standards of products in this field, it has been left open for anybody to jump on board and try to make a quick dollar. The few companies that have invested significantly in research and development to effectively protect the consumer have been left trying to defend and differentiate their products from those who have clearly blurred the lines and cannot support or prove the claims that are being made. The sooner this industry can be regulated the better. Where does this leave you? the best advice is to research the product you are considering purchasing. If it claims to Jam does it have FCC approval? If it claims to be active does it have a battery? As a consumer you must do your research and due diligence until there is a regulatory body who can help govern the claims being made. Protecting your identity from theft is a serious business and you should only look for companies and products who are serious about protecting your data & not who just want to jump on the band wagon for a quick dollar. The decision is ultimately yours as to how much worth protecting your personal data is to you. Beware, Be Aware and Stay Vigilant. We are very excited to be present with a stand at CES 2016 this coming January. You will be able to come say hello to the inventors and founders plus see the Armourcard product for US launch. You will also be privy to a new Armourcard product for the protection of NFC enabled smartphones & tablets to be released soon. Our stand will located in the Personal & Cyber Security marketplace so if you are lucky enough to be going come by and see us. We look forward to seeing you in Vegas. APC or Australian Personal Computing has featured Armourcard in a recent article on travel goods and travel essentials. Lindsay Handmer one of the journalists at APC reviewed Armourcard and tested and gave a very good review of 4 stars. Next time you travel the article that reviews Armourcard as an essential travel good to take with you, especially with ePassports, tap & go credit / debit cards and many hotel keys able to be skimmed. Don’t travel without one, the Armourcard reviews say. ARMOURCARD, an Australian company dedicated to the prevention of wireless skimming, has revealed Aussies could be losing as much as $439 million a year to ‘Electronic Pickpockets’, following a study into the extent of the criminal activity. The survey revealed that one in seven Australians (14%) have either been affected themselves or know someone that has been a victim of electronic skimming – a type of credit card fraud, where criminals extract your card details using RFID or NFC technologies. The report also found a fifth of Aussies (20%) are completely unaware this crime exists. Tyler Harris, Co-Founder and Director at AMOURCARD, believes that things will only get worse for consumers, if we don’t address this issue proactively. “Wireless technologies, such as ‘Tap and Go’, have made life easier for shoppers and retailers. However, the same technology has become a target for criminals looking to exploit it for personal gain,” said Harris. The study also revealed the true extent of the crime could be even greater, with Aussie not knowing they have been robbed. Over half (51%) of Australians admitted they wouldn’t notice if small amounts of money went missing from their accounts, with the average Australian adult able to lose $28.49 without noticing. This equates to a potential loot of $519M available to criminals. “The threat of being robbed $20, $30 or even $100 often isn’t at the top of our minds, but we are all aware that it happens. What is surprising is this is only the tip of the iceberg and consumers are yet to see the threat that lurks below the waterline,” added Harris. As more items become RFID or NFC enabled – such as Social Security cards, medical cards, library cards, driver’s licenses and national identity cards – the likelihood of being skimmed will increase. These cards contain a lot of personal information and data, which hackers can exploit. This stolen information aids criminals in the profiling of individuals and can lead to identity theft as well as fraudulent fiscal gain. “We’ve looked at this technology being rolled out across the globe and have found that personal information, such as your name, age, date of birth and address can easily be attached to the RFID or NFC microchips. Access to this information will only aid criminals in stealing your identity. 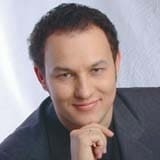 Until the technology is proved 100% safe it only makes sense to protect yourself,” concluded Harris. In a recent video interview and story by Alex Zaharov-Reutt from iTwire and our CEO Tyler Harris whereby they candidly discuss and help consumers understand a little more about the vulnerabilities around this RFID technology roll-out and how to best protect yourself. In the interview, Harris talks about the history of RFID from its origins as a ‘SpyTool’ from the cold war to current day and future applications that will be coming to a wallet near you soon. If you know nothing about this technology this interview is a great place to start understanding what you can do to protect yourself. Thanks, Alex from iTwire for taking the time with Tyler and supporting our Australian invention we really appreciate both yours and iTwire support. Identity Theft on the rise in Australia. A recent report that has been released in Australia shows that we are NOT immune to the global increase in identity theft, in-fact Australians are pretty soft targets. The reasons for this rang from the attitude “it will never happen to me” to just being lackluster about basic security of your personal details, from securing your mail box to shredding your bank statements to even being on the look out for skimmers that skim your data, Australian’s are too laid back with their personal data & are easy targets for Identity theft or credit theft. Veda, credit information company analysed $1.6 trillion worth of credit applications in the year to June 30 and found that $1.9 billion worth of those applications posed fraud risks. “Identity theft was the fastest growing form of credit application fraud, as fraudsters continuously change their tactics. What we’ve found is that the fraudsters have adopted using stolen identities as opposed to using fictitious identities,” Ms Newton said. The information can be collected by fraudsters breaking into people’s homes, taking mail from their letterboxes or stealing wallets and handbags or even being wirelessly skimmed. 103% increase in the past year. The fraudster then assumes the victim’s identity and applies for credit in their name. You can guarantee the financial institutions will not cover the fraud on that type of crime against your name. Start to take back control of your identity data. It starts with an Armourcard. You may also like to read this article. When does a simple pleasure like a hug turn into a world of identity theft pain. There is a new wave of identity theft wireless skimming hitting the streets, the perpetrators don’t even need to boost a RFID readers signal strength. They simply ask for a hug.! That’s right a nice heart warming hug can now get your credit card data skimmed. It’s been reported by WXIA-TV in the USA that this crime is happening and preying on the good will of people. In other reports this simple yet effective means to wirelessly skim your data can easily be cloaked by other alternative means like posing as a street charity worker collecting funds or someone who needs assistance on the side of the road changing a tyre. What a thought that now even the humble feel good hug can be used to wirelessly skim your identity data. Why not put an Armourcard in your wallet so hugging can still be a warm, fuzzy & safe thing to still do. Don’t let the criminals deny us this simple pleasure as well. Identity theft occurs when a criminal obtains and uses someone else’s personal information credit card numbers, bank account numbers, insurance information or Social Security number to purchase goods or services fraudulently. Identity theft is a state and federal crime. These Identity Theft Statistics are telling an interesting story on where we are today. According to Javelin Strategy & Research’s 2014 Identity Fraud Study, there was one new identity fraud victim every two seconds in the US in 2013 and the number of victims climbed to 13.1 million. Thieves can steal credit and debit card information through a technology called Radio Frequency Identification (RFID), which uses radio waves. The digital pickpocket brushes a device called a skimmer close to someone’s purse or wallet and steals the information from the cards inside. The information is overlaid onto any card with a magnetic strip and used to make purchases. 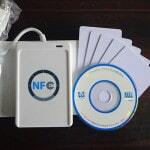 People can protect themselves by purchasing Armourcard the 1st Active RFID & NFC jamming device. Isn’t it time you get protection from electronic skimming…? And the winner for most consumer complaint in 2013 is…… (drum roll)….Identity Theft again….! Another year….another huge dollar amount gets ripped off by identity theft. A lot of people still think “it will never happen to me…!” but hell it seems to happen to a lot of people and it is again the most complained about crime in the US for the past 7 years or so. So if you think identity theft will never cross your path, I’d be seriously looking for a rehab for denial thinking. Time to start believing that this is now the world we live in & you must start to take back some of the responsibility for controlling your personal privacy in this open airwaves / wireless age we live in. The seemingly intractable problem of identity theft led the list of top consumer complaints once again in 2013, with U.S. consumers reporting that they lost over $1.6 billion to various types of fraud, the Federal Trade Commission said in a report released on Thursday 27th February 2014. Identity thieves can make purchases on credit cards they do not own, make withdrawals from a victim’s bank account or take out loans in the victim’s name, among other kinds of fraud. Florida had the highest per capita rate of fraud, with 804.9 people reporting a problem out of every 100,000 in population, the FTC said in its report for 2013. North Dakota had the lowest rate of reported fraud. I want to implement the first line of defence…. PROTECT YOURSELF - Get armourcard today!